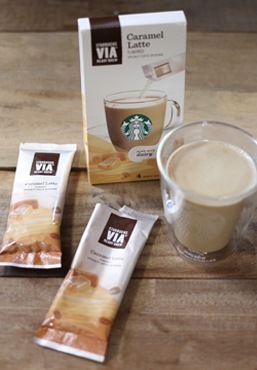 In an instant, you can enjoy the smooth, velvety caramel taste that comes in Starbucks VIA Caramel Flavored Coffee. Just open a packet of goodness, and hot water and enjoy. It’s really that easy.